Being in a cosmopolitan modern city like Singapore, a melting pot of different cultures and races, settling down here over many years,it gradually transformed into a food haven whereby Singaporeans love their food. One of my favourite cuisine is definitely Thailand food and I love their unique spiciness along with their sour and sweet sauces. Therefore, I was thrilled when we were traveling up to Thailand recently and it was a great feast to taste and savor authentic local Thai food. Let me guide you through some of the delicious and wonderful Thai food that I tasted during my recent holiday there. My all time favourite Thai dish! 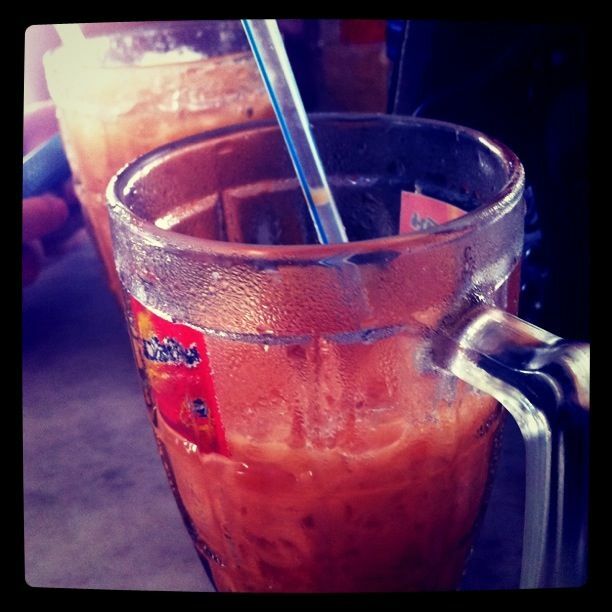 I don’t know why, it just taste so much nicer there in Thailand! The fragrance and taste are so much nicer than the ones in Singapore and ordering it from the push cart in the their village town, the experience is priceless. 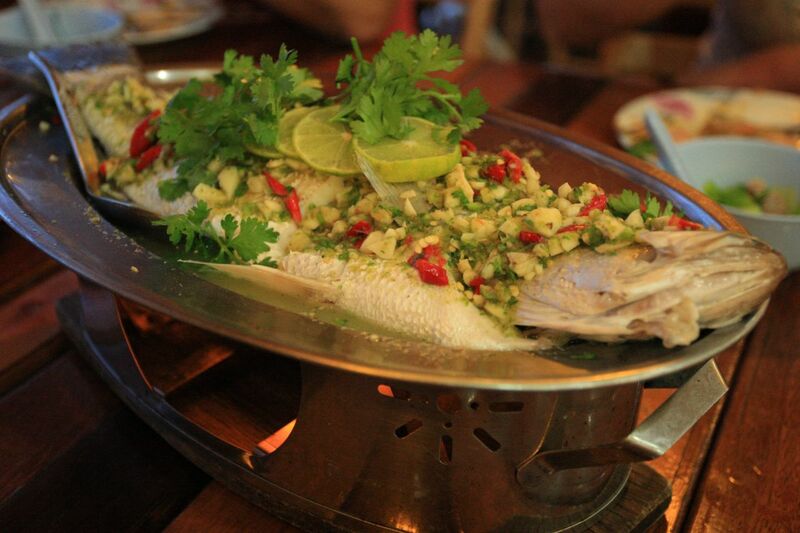 Freshly steamed fish with a variety of ingredients and spices, lime, chili, limerick, giving this freshly cooked fish a tender sweet loving taste. 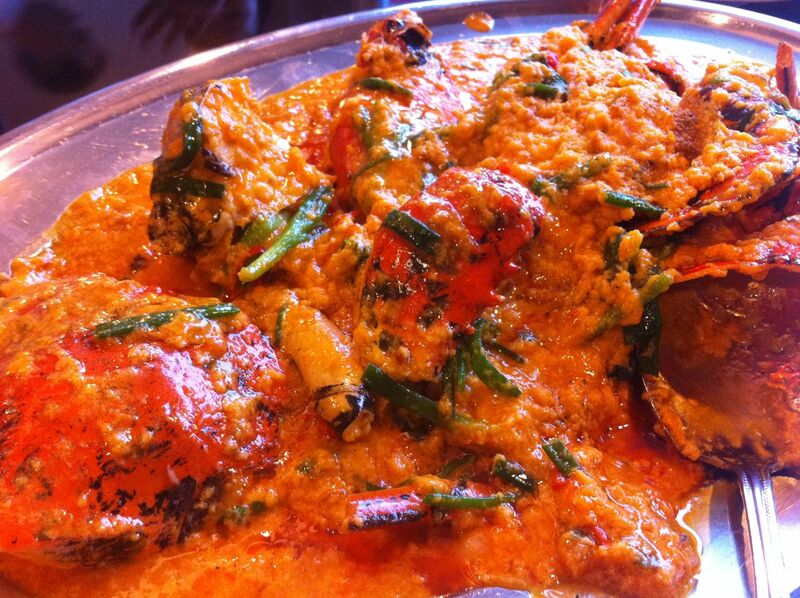 Do not be deceived by their looks or gravy, have a taste when you are there! It’s simply awesome and superb! They are really special! These are the the details for Somboon Seafood Restaurant, if you are planning to go there, remember to make a reservation in advance! The branch we went to is the Bantadthong Branch! Do check out their website for more details! Happy eating and enjoying Thailand food! Enjoy my other Thailand food photos! 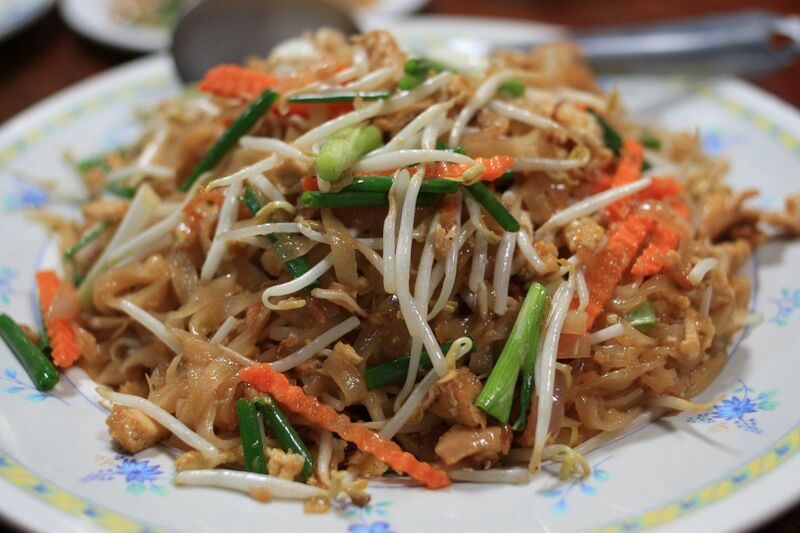 the phad thai looks yummy! tawandang serve it but dunno if the taste is close / the same.